Very easy to work with, very fast turnaround, made to the custom specs I asked for and most importantly, the final product is awesome!! Thank you! 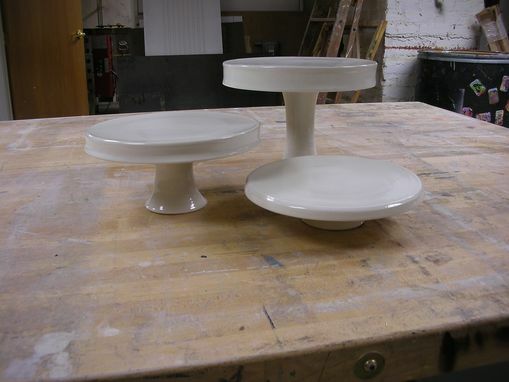 These are a set of handmade porcelain pie stands. They can be made to different prices and shipped out. The pictured are wheel-thrown but we can make molds to create a lot of the same peice. We'll calculate shipping once specifics of job are finalized. Cheers! Every maker has a story. Be a part of Cane Walk's story by placing an order, leaving a review, and seeing your review appear here.